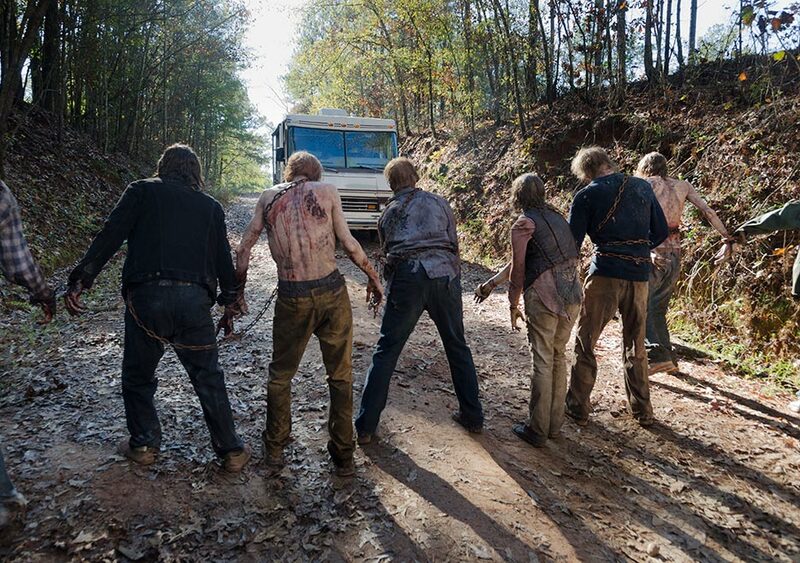 6x16 ~ Last dia on Earth ~ Walkers. Episode Still. HD Wallpaper and background images in the Os Mortos-Vivos club tagged: the walking dead season 6 6x16 last day on earth walkers. This Os Mortos-Vivos photo might contain serraria, serração, caminho de freio, freio estrada, estrada de freio, trilha, estrada de breio, mulch, and cobertura morta.